We’ve seen over the last few episodes how Lethbridge-Stewart’s fighting force has been somewhat decimated. Apart from himself, only Evans and Arnold are still standing. Evans remains an unreconstructed coward whilst Arnold continues to be a pillar of no-nonsense strength. ARNOLD: Now look, lad, you’re scared, that’s understandable. But you’ve been in the Army long enough to know that orders is orders. There’s four people up there. If we don’t warn them, they’re for the chop. EVANS: So? Four of them’s getting the chop. There’s no reason to make it six, is there? There’s another surprise reappearance – that of Chorley – who was last seen in episode three. It’s suggested again that he’s the Intelligence’s agent, but since he’s been absent for so long that doesn’t quite scan. Evans getting carried off by the Yeti (“Hey, steady on. Oh, going for a walk, are we? There’s lovely”) is an episode highlight as is the moment when he’s deposited by the Yeti next to the Colonel and the Doctor. He brazenly denies that he had intended to make a break for it. “Desertion? Me? Oh, good heavens, no. No, I thought I’d try a single-handed and desperate attempt to rescue Professor Travers and the girl”. We’re entering the end-game, as everyone is brought to the Piccadilly ticket hall, where the Intelligence has set up its brain drain machine. And this is where the Intelligence’s agent is finally revealed. Right up until the last moment we’re teased that it’s Chorley, but then the shock reveal of Arnold is made. Jack Woolgar impresses as the passionless voice of the Intelligence, but this is another of those moments which doesn’t make any sense. The Intelligence state that he’s been hiding in Arnold’s lifeless body for some time – but exactly how long? Arnold seemed no different when he reappeared than he did before, but it’s equally hard to believe that he’s been controlled by the Intelligence all along (although that’s what the story tells us). There’s a faint air of disappointment here, somewhat akin to the feeling you get when a whodunit doesn’t play fair. The story dropped numerous red herrings along the way, hinting that the Colonel, Evans, Chorley, etc were all credible candidates, but suspicion never fell on Arnold for a minute. Maybe this was due to the Great Intelligence’s skill, but it still feels like a little bit of a cheat. And if the Doctor’s final reckoning with the Intelligence is a bit of damp squib, then it doesn’t really alter the fact that The Web of Fear is a classic slice of Who. A few quibbles about the script apart, this is glorious stuff and something which is always a pleasure to revisit. After four episodes, the Great Intelligence – speaking through the voice of Travers – finally explains what his/her/its evil plan is. Some might think that the Intelligence has been somewhat slow on this score, but with six episodes to fill it clearly couldn’t show its hand too soon. TRAVERS: Through time and space, I have observed you, Doctor. Your mind surpasses that of all other creatures. TRAVERS: You! Your mind will be invaluable to me. Therefore I have invented a machine that will drain all past knowledge and experience from your mind. And this is where the wheels of the story slightly come off. 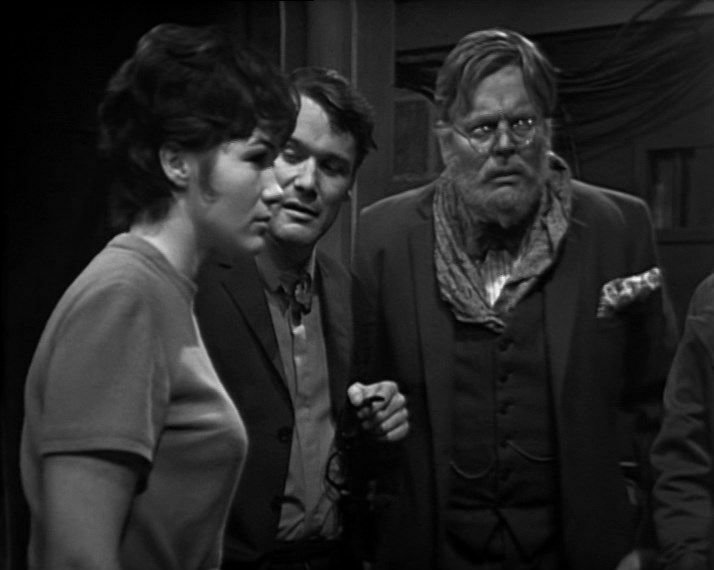 I think that one of the reasons why I enjoy 60’s Who so much is that much of the mythos which would later build up around the character of the Doctor is absent. He’s no god-like creature, known and feared throughout the universe, he’s simply a wanderer in space and time. So stories where he’s targeted by the baddies are pretty rare (this one and The Chase spring to mind) meaning that it’s much more likely that wherever he appears nobody’s heard of him. And anyway, if the Great Intelligence needs the Doctor’s intelligence than he/she/it can’t be that great anyway. The Almost Great Intelligence maybe? We’ve previously seen that the Lethbridge-Stewart of this story is a pragmatist, happy to escape rather than fight to the last man. So when Evans suggests that if they agree to the Intelligence’s plan (delivering up the Doctor) possibly everyone else will be allowed to go free. The stalwart Brigadier would never consider this of course, but as has been touched upon, the man here isn’t quite the man he’d become and there’s a palpable moment of ambiguity in the air. The controlled Travers stomps off with Victoria as a hostage whilst the others debate what to do next. Given that the Yeti have decimated the soldiers, there has to be a good reason why the Intelligence simply didn’t take the Doctor. And there is – unless the Doctor submits willingly, the brain drain machine won’t work. So the fact that the Doctor has been given a deadline to either give himself up or face the consequences provides him with a welcome spot of breathing time. The Doctor once again teams up with Anne. I wonder if these scenes influenced the creation of Zoe? Zoe might have been younger and more frivolous, but the seed of partnering the Doctor with a scientifically-minded companion might have been sown here. The scene where Evans deliberately disobeys Lethbridge-Stewart’s order is a fascinating one. The Brig wouldn’t have stood for this sort of insubordination of course, but the Colonel – still somewhat shell-shocked by the events of the previous episode – accepts Evans’ flagrant disregard of his orders quite calmly. For those who know Lethbridge-Stewart well, to see the character so out of control is quite disturbing. Deborah Watling is a little out of the action, but she does get to share a few nice scenes with her father. And when Jamie, out in the tunnels with the Colonel, spots Victoria’s handkerchief it’s hard not to be reminded of one of Frazer’s most famous convention anecdotes. The Web of Fear is one of those stories where characters tend to disappear suddenly and then reappear with the same lack of ceremony. Both Arnold and Chorley have been MIA for a while but then Arnold pops up out of nowhere, seemingly no worse for wear. 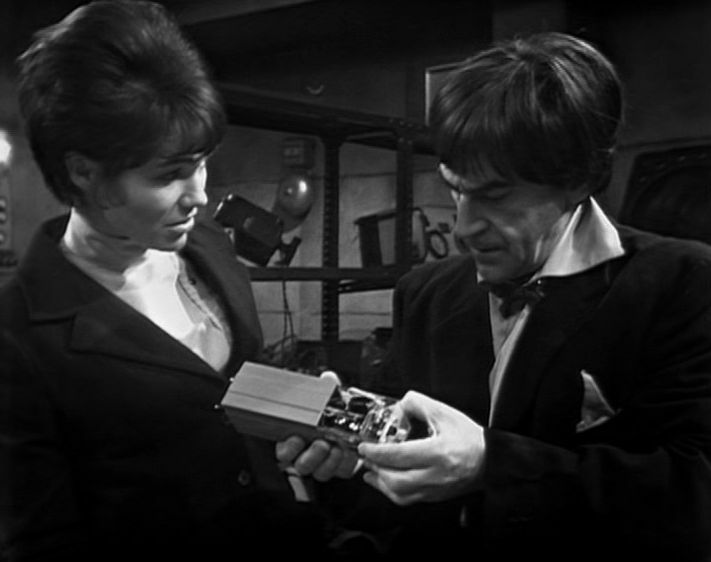 The Doctor and Anne’s lash-up (a device to control the Yeti) seems to work, but a mass of web seems to spell the end for the Goodge Street fortress …. Presumably sometime during the previous episode Anne decided to swop her mini-skirt and boots for a trouser suit, since that’s what see her wearing as the moving pictures start again. Given all that’s going on it seems a little strange that she was such a slave to fashion. She might be an independent young woman, making her way in a man’s world, but it’s possibly not too much of a surprise to find her portrayed as something of a clothes horse (a sign of those times). When the Doctor and the others find her, she’s in a highly distressed state, which is pretty understandable since the Yeti have abducted her father. Tina Packer rather overplays here, although given the situation Anne finds herself in that’s not too surprising. 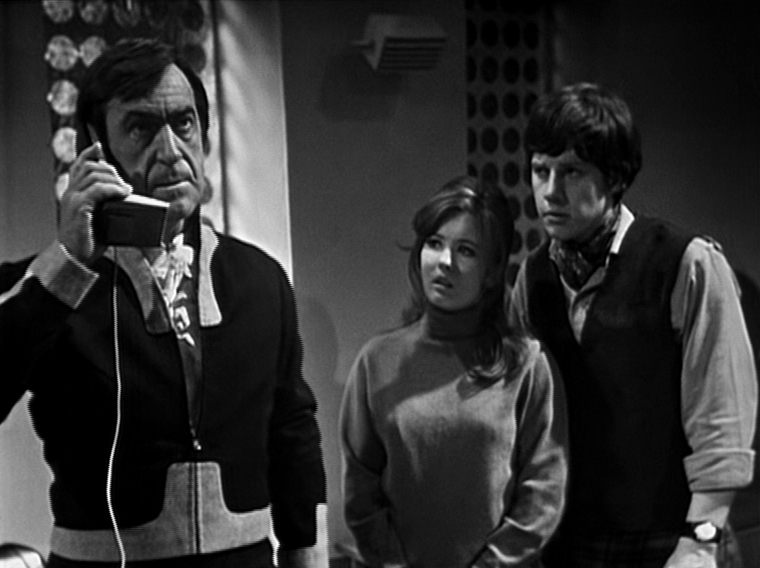 Troughton continues to underplay though, which is notable in the early scene where Evans asks the Doctor if he believes that the Yeti have taken Travers. The Doctor’s dialled-down, abstracted air makes it plain that he’s considering multiple possibilities, none of them good. When the Doctor later outlines what he knows about the Intelligence, it’s yet another wonderfully delivered few lines from Troughton. “Well, I wish I could give you a precise answer. Perhaps the best way to describe it is a sort of formless, shapeless thing floating about in space like a cloud of mist, only with a mind and will”. Jack Woolgar continues to impress as well. 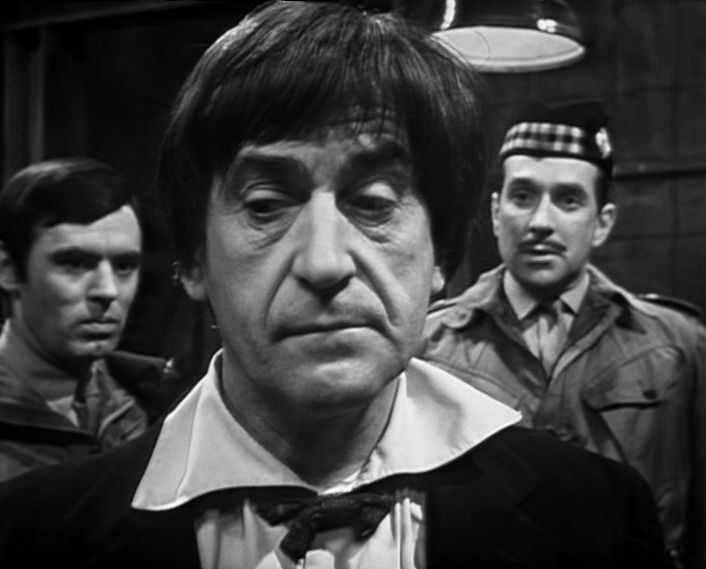 Look for the moment when Arnold tells Lethbridge-Stewart that Weams and the others are dead – Arnold’s voice cracks for a split-second, just enough to show the pain he feels at the loss of his men. That Arnold later turns out to be the agent of the Intelligence, rather than the more obvious Chorley, is a cruel blow, possibly one of the cruellest of the story. But red herrings continue to be spread about, since the Colonel doesn’t seem to remember meeting Evans (he was apparently his driver). Does this mean that Lethbridge-Stewart is the agent or is Evans possibly the rotten apple? No to both questions, but they’re nice misdirects. Anne operates in this episode as pretty much a proto Zoe or Liz. Like them, she’s able to speak to the Doctor on a similar scientific level (something that Jamie and Victoria were unable to do) which enables the Doctor to have a confidant who can also act as a sounding board for his theories. One of the reasons why the Yeti work so well is that they’re not seen very often. Keep them on screen for too long and their shortcomings become obvious. But a few brief glimpses here and there, ideally lurking in the shadows, and they’re the stuff of nightmares. 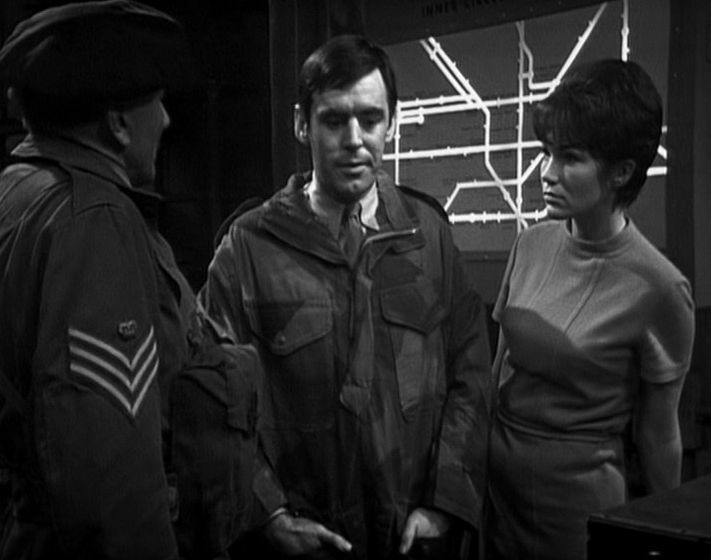 But this episode sees them head out and about as they tangle with Lethbridge-Stewart and the others at Covent Garden. This film sequence shouldn’t work at all – Yeti in the cold light of day sounds like a very bad idea – but Camfield pulls it off in a pulsating action scene that’s an obvious story highlight. It’s interesting that Lethbridge-Stewart mounts the mission to Covent Garden for one reason only – to locate the TARDIS which will enable them all to escape. The Brigadier would surely have remained and fought to the very last man, but the Colonel is much more of a pragmatist, keen to find an escape route. During the scene you can play spot the stuntman – Terry Walsh, Derek Martin and Derek Ware should all be instantly recognisable and the minute they pop up you know that a spot of action is imminent. It does seem a little odd that a very familiar piece of stock music (associated with the Cybermen) is used here, but maybe Camfield was unaware it had been used before or possibly it was felt that it didn’t matter that it had previously featured. Favourite moment during this scene is Yeti who clutches his eyes before falling over. Since we know that John Levene was playing one of the Yeti, I like to think that he was the one here who decided to go extra-dramatic. Corporal Blake’s rather horrible death – mainly due to Richardson Morgan’s blood-curdling screams – is something which lingers long in the memory. Knight and the Doctor head up to ground level to look for some vital electronic spares. Alas, Knight doesn’t make it as he’s mown down by the Yeti. The last shot we have of Knight – his lifeless body slumped across a table – is yet another unsettling choice from Camfield and Knight’s sudden, unexpected death helps to raise the stakes. If Knight, one of those characters you’d have assumed would make it to the end, can be killed then no-one is safe. This is also borne out when every member of the Covent Garden party – except the Colonel – is killed. And with Knight also dead and Arnold missing, Lethbridge-Stewart is pushed to breaking point. The cliffhanger – showing the arrival of the Yeti together with a catatonic Travers – ratchets up the tension several more notches. It’s a pity that this episode is still missing, although one day it might come back, yes it might come back …. 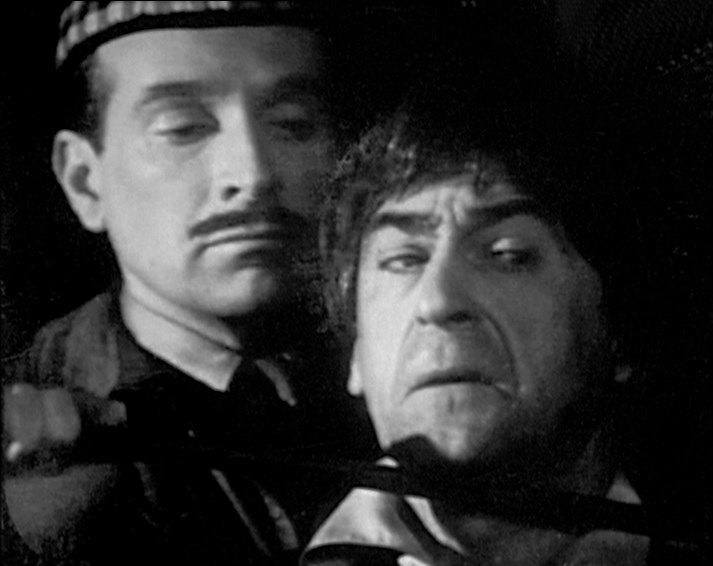 The major irritant is that it denies us our first glimpse of Nicholas Courtney as Lethbridge-Stewart (although since nothing from his debut existed in the archives before 2013 we can’t grumble about this too much). And if there had to be a missing episode, then better this one than the next (the Covent Garden battle sequence would have been a much more serious loss). Although Courtney’s characterisation as Lethbridge-Stewart is already pretty recognisable, the Colonel we see here isn’t quite the Brigadier that he’d become from The Invasion onwards. Like some of the others (notably Chorley) he’s given the odd, off-key moment, suggesting he might have a secret to hide. The fact that the story will shortly raise the spectre that the Intelligence must have a mole inside the fortress raises the possibility that the Colonel may well be a traitor …. Chorley’s undergone something of a transformation from the previous episode. Although things looked grim then, he was calm and in control. But now he’s suddenly become hysterical and desperate to leave. Again, this suggests that he may be a man with his own agenda (or it could possibly be that he’s simply a coward, thinking only of his own survival). The return of the Doctor energises the story – he quickly takes command and impresses the Colonel with his practical suggestions. Lethbridge-Stewart also has ideas of his own – getting rid of the annoying Chorley by creating the superfluous job of “co-ordinator”, for example. The Colonel is also in his element when leading a briefing. Interestingly it’s Anne who is slightly riled when everybody’s presence is requested (“a briefing? We’re not in the army yet”) rather than the Doctor. It would be easy to imagine the Pertwee Doctor expressing a similar sentiment, but the Troughton incarnation was always much more easy-going. But although the Doctor may appear to be pretty placid, it’s plain that there’s plenty going on under the surface. This was always one of the joys of Troughton’s Doctor. He didn’t need to dominate proceedings like Jon Pertwee or Tom Baker’s Doctors, he was content to sit, watch and wait. But when he spoke, people tended to listen – as seen with this short exchange between him and the Colonel. DOCTOR: Someone here is in league with the Yeti. Maybe even controlling them. DOCTOR: The main door didn’t open by itself, did it? It may be any one of us. Based on what we later know, the idea of Lethbridge-Stewart as a traitor is laughable, but at this point we simply don’t know him, so it’s completely possible. 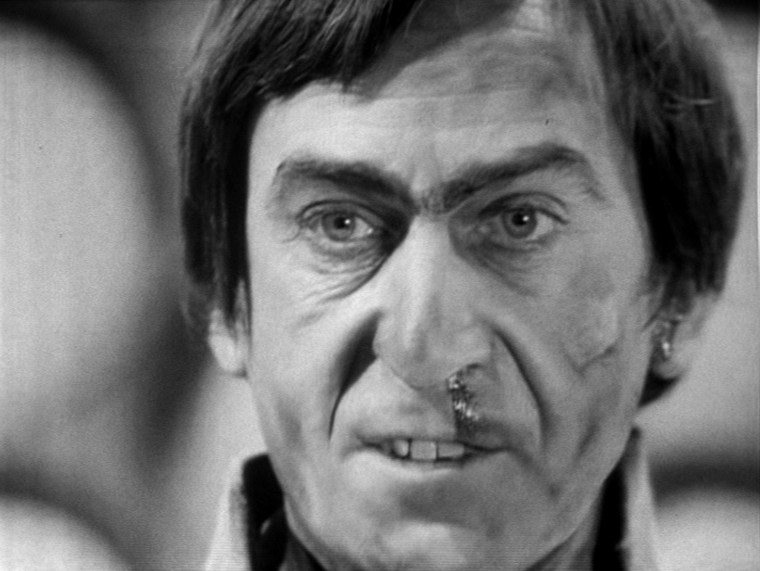 And the fact that Troughton doesn’t overplay this moment – he delivers his lines in very a matter-of-fact way – makes the scene even more powerful. 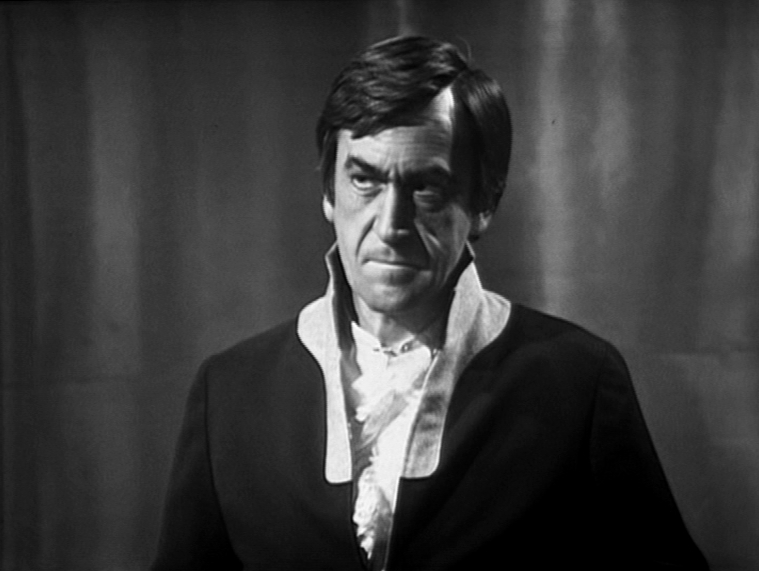 Unlike some of his successors, Troughton tended to understand that less was more. Jamie spends most of the episodes stuck in the tunnels with the rather annoying Evans, whilst Victoria’s back in the fortress with the others. She doesn’t do a great deal in the episode sad to say, partly this seems to be because Anne – a more dominant character – is rather taking the limelight. And it’s a pity that as the episode draws to a conclusion we’re left with a whimpering Victoria and a slightly angry Doctor (she’s told Chorley about the TARDIS – a bad move if he’s the agent of the Intelligence). The sudden death of Weams (the first – but not the last – of the established characters to die) and the cliffhanger shot of a terrified Travers tangling with the Yeti (who have been mostly off-screen during this twenty-five minutes) provides a strong hook into the next episode where – hurrah! – the pictures will move again. 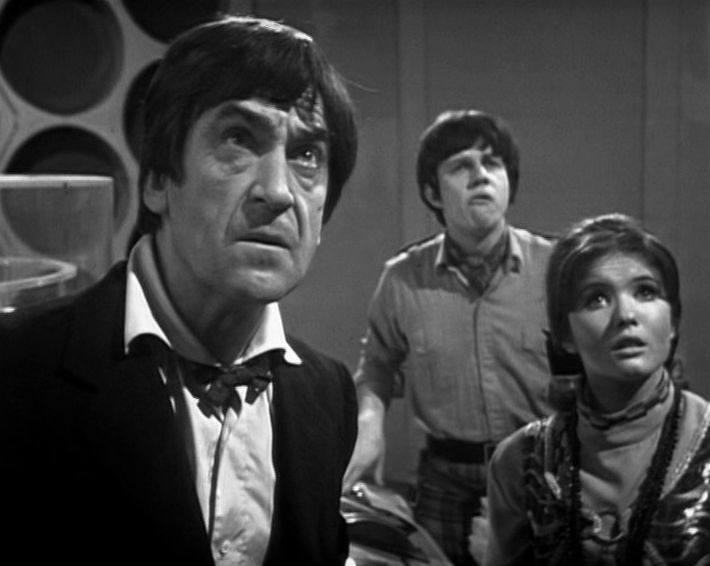 With Patrick Troughton on holiday, episode two allows the others, especially Frazer Hines and Deborah Watling, a little more screen-time. Jamie and Victoria’s first encounter with the aged Travers is a treat. Camfield favours lingering on Victoria’s delighted face as she instantly realises that the old man in front of them is the same person they encountered forty years earlier in Tibet. It’s a nice touch that Victoria is several steps ahead of Jamie, who doesn’t recognise Travers to begin with at all (although when he finally twigs, his comment – “here, hasn’t he got old? Oh, but we’re very pleased to see you, Professor. Very pleased” – is lovely). The formidable Anne tangles with another man and again easily bests him. Here, it’s the oily newspaperman Harold Chorley (Jon Rollason). CHORLEY: Oh, for goodness sake, why is everybody being so evasive? Why won’t anybody answer any questions? ANNE: Perhaps they’re afraid you’ll interpret them in your own inimitable style. CHORLEY: And what does that mean, pray? ANNE: It means you have a reputation for distorting the truth. You take reality and you make it into a comic strip. In short, Mister Chorley, you are a sensationaliser. CHORLEY: You smug little redbrick university …. ANNE: Don’t say it, Mister Chorley. I have a very quick temper and very long claws. Ouch! It’s interesting that although Web was made some fifty years ago, Chorley’s character – a unscrupulous journalist – is still a very recognisable one. The more things change …. Jack Woolgar gives a lovely performance as Staff Sergeant Arnold. Arnold is your archetypical NCO – a gruff, no-nonsense type who’s easily able to keep his subordinates in order. Amongst his charges is the familiar face of Richardson Morgan (as Corporal Blake). Morgan would later turn up in The Ark in Space. Also good value is Stephen Whitaker as Craftsman Weams. The arrival of Driver Evans (Derek Politt) adds a little levity to the story. He’s a comic, cowardly Welshman (if his accent wasn’t obvious enough, then the fact he turns up singing the Welsh national anthem provides the audience with another clue as to his nationality. Not the subtlest of characterisations then). The Yeti look very good when lumbering through the tunnels on film. When they pop up on videotape it’s fair to say that they’re slightly less impressive, but Camfield is still a good enough director to ensure that they don’t look completely ridiculous (other directors might not have been so successful on this score). There’s already a nice sense of claustrophobia and unease throughout this instalment, which increases as the story progresses. 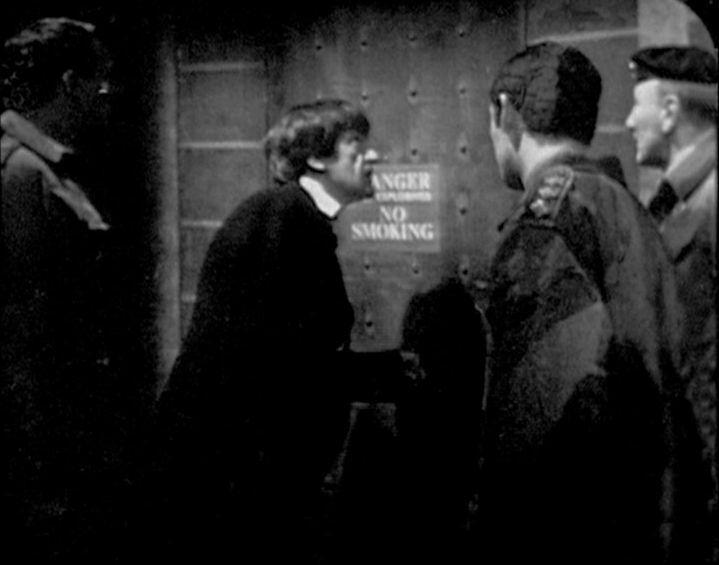 Although the Troughton era tended to overdose on base-under-siege stories, when done well (as here) they’re gripping entertainment. 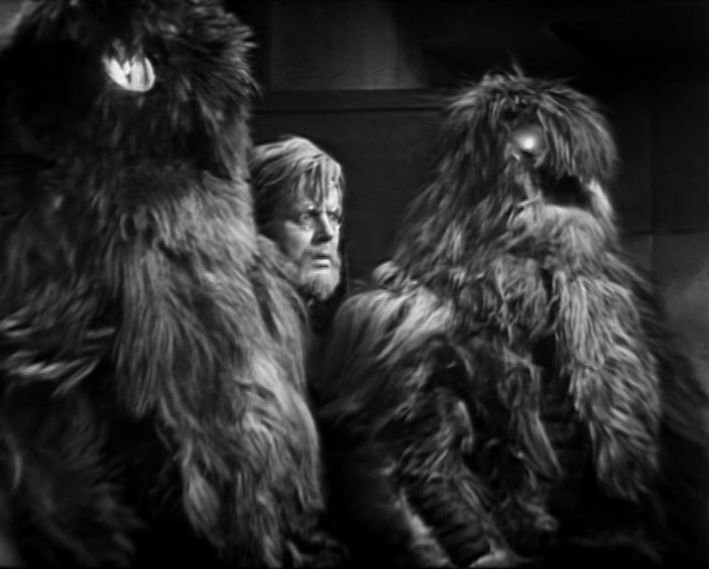 By the end of the second episode, the parameters of the story have been established – a small group of heroes isolated in the underground and menaced by the Yeti on all sides. With Victoria lost in the tunnels and the Doctor still missing, things are nicely set up for episode three.